Corneal Crosslinking - Helpful for Keratoconus? Corneal cross-linking (CXL) is a minimally invasive outpatient procedure designed to treat progressive keratoconus (and, sometimes, other conditions that cause a similar weakening of the cornea). The CXL procedure strengthens and stabilizes the cornea by creating new links between collagen fibers within the cornea. The two-step procedure applies liquid riboflavin (vitamin B2) to the surface of the eye immediately followed by a controlled exposure of the eye to ultraviolet light. Epithelium-on CXL. In this procedure (also called transepithelial CXL), the protective corneal epithelium is left intact, requiring a longer riboflavin "loading" time. Corneal cross-linking also can be combined with other procedures for keratoconus treatment. For example, combining CXL with implanting tiny arc-shaped corneal inserts called Intacs has been shown to help reshape and stabilize the cornea in more advanced cases of keratoconus. Currently, the only corneal cross-linking platform that is FDA-approved for the treatment of progressive keratoconus in the U.S. is Avedro's KXL System, which includes the company's proprietary Photrexa and Photrexa Viscous riboflavin solutions. Corneal cross-linking is most effective if it can be performed before the cornea has become too irregular in shape or there is significant vision loss from keratoconus or other causes of corneal ectasia. If applied early, CXL typically will stabilize or even improve the shape of the cornea, resulting in better visual acuity and an improved ability to wear contact lenses. Some surgeons have also reported reasonable results in improving the stability of the cornea in people who have undergone radial keratotomy, an incisional refractive procedure from the 1980s and 1990s. Cross-linking appears to work best for those who are experiencing daily fluctuations in their vision. Layers of the cornea. Corneal cross-linking strengthens bonds in the stroma of the cornea, which is the layer from which tissue is removed during LASIK surgery. The cross-linking procedure takes 60 to 90 minutes in most cases. If you are receiving epithelial-off cross-linking, your surgeon will place you in a reclining position and remove the epithelial layer from your cornea. Riboflavin eye drops will then be placed. If you are receiving epithelial-on cross-linking, you are placed in a reclining position, and riboflavin drops are started. 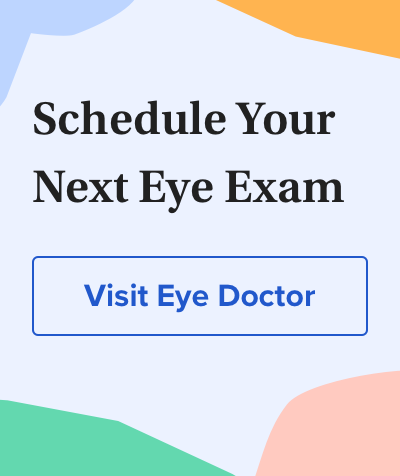 After enough time has passed (depending on the technique), the surgeon will evaluate your eye to ensure that the cornea has sufficient riboflavin present. In some cases, a bandage contact lens will be placed. Topical antibiotic and anti-inflammatory drops will be prescribed. With both epithelial-off and epithelial-on CXL, studies have found that 99 percent of patients will remain stable or achieve improvement in the corneal shape, which is highly significant for people with progressive keratoconus that otherwise might lead to severe vision loss. And though corneal cross-linking may cause some initial eye irritation, the surface of the eye and the tear film appear to fully recover within several weeks. In a recent study designed to investigate potential alterations of the eye's surface and tear film parameters three months after CXL in progressive keratoconus patients, no adverse effects on the ocular surface and tear function (which are important for visual quality) were found. The cost of corneal cross-linking for the treatment of progressive keratoconus typically ranges from $2,500 to $4,000 per eye. Some of this cost may be covered by your health insurance policy. Ask your eye doctor or insurance company for assistance in determining what your total out-of-pocket expense for the procedure will be.